Some of the 2011 Fox Racing Shox lineup. The Terralogic is back! The ‘senses the bumps for you and locks the fork out on the smooth stuff’ fork has been redesigned and reworked. It now comes in the F-Series and TALAS 32 series as well as the TALAS29 and the F29 fork. The Fox 36 has been redesigned. It now comes in 160 and 180mm travel with the 180mm version having a completely new chassis (identifiable by the lowers that extend below the dropouts). The FIT cartridge system now comes in the 36 160 (RLC) and in the 36 180- and the Fox40 (RC2). The TALAS system is now going to be a two-length affair for all forks. So a fork that was 160/130/100 will now be 160/120. A 150 fork will now be 150/120. This is because the extra low position seemed to be too steep for many bikes – and the fork was too compromised with three positions. Now with just two positions available, the engineers can make sure it works as a decent fork in both travel lengths. There’s a Vanilla VanRC Rear shock coming out. 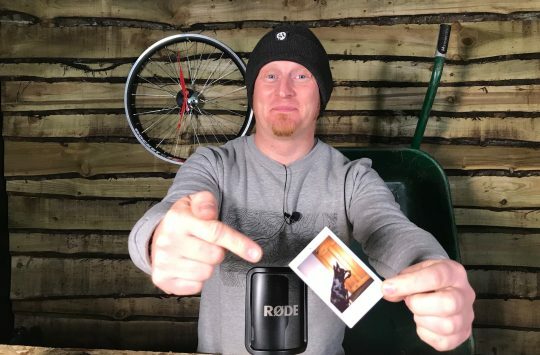 With rebound and low speed compression adjustment it’s aimed to give a pro level shock for less cash. 15QR forks now have a new forged lever and forged axle, saving 21g. The new, gold coloured Kashima (which is a form of anodising where Teflon is impregnated into (and below) the surface of the fork stanchion, will be making an appearance on all new high end fox forks. The Fox 831 4X and dirt jump fork will no longer be special edition and will be available to all. Girl. Guides! How'd you fancy having these hunks showing you round your fork testing loop? Fox riders Cam McCaul and Mark Weir. That'll be a 36TALAS then. Now 160/130mm (New 36s are 2.04-2.37kg) Only the axle and QR levers remain from the previous 36 parts. The rest has been redesigned. 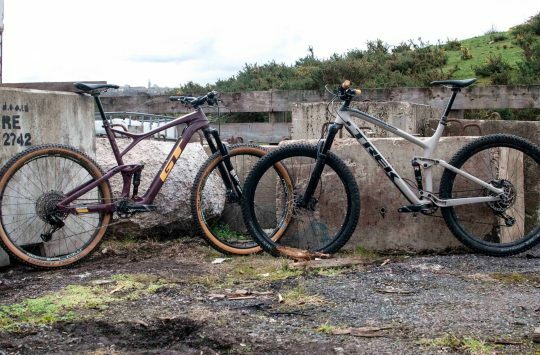 So the 2 Fox riders are running 2010 forks with the original stanchion coatings and not 2011 rusty looking ones, faux pas perhaps….Personally do not like the colour of the stanchions on the new stuff. the new 180 36’s look like a lot of fun, front end of an uzzi perhaps?